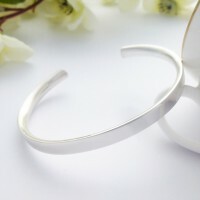 Magnificent Chunky Solid Silver ladies torque bangle featuring a simple elegant dished design, a stunner of a bangle. This bangle is perfect for a sophisticated or party night out. 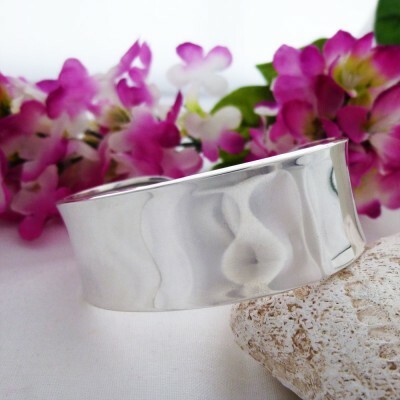 The Chunky Solid Silver Torque has a simplistic design which is chic and vibrant, a favourite of those looking for a wide sterling silver cuff bangle for women that is in a contemporary style. The Chunky Solid Silver Torque has a subtle dish shape and a flat shinny surface. 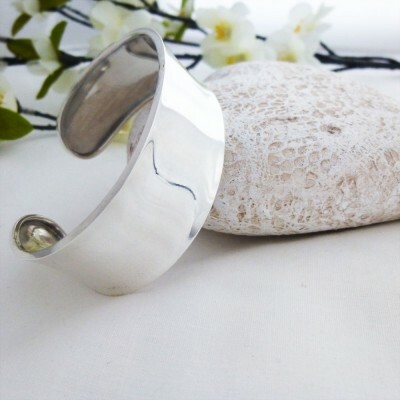 If you are looking for a stylish, simple and sophisticated wide silver bangle to match a stunning dress, this is the perfect piece for you. Made from 925 sterling silver and hallmarked, the Chunky Solid Silver Torque is a popular silver bangle and an essential piece in any jewellery collection for ladies that prefer simple and contemporary jewellery. The Chunky Solid Silver Torque measures approximately 2.2cm wide. The diameter of this bangle measures approximately 6cm.